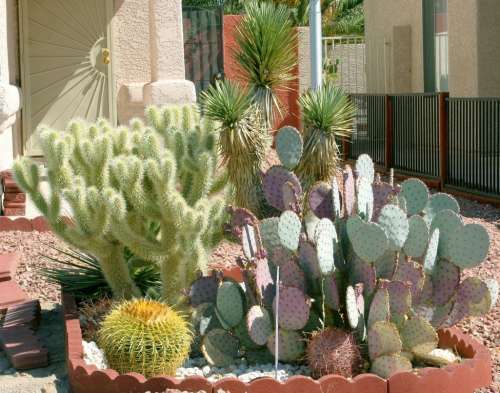 These Cacti in my neighbors front yard have so many differnt colors and looks. I think they are really cool. WOW!! what a sharp picture,great shot.